Actor best known for starring in the Nickelodeon series Bucket and Skinner's Epic Adventures. He also played the role of Burke in the 2014 Disney TV movie Cloud 9. He had his first acting role at age eleven in Mind the Gap (2004). He also had a memorable guest starring role on a 2012 episode of Disney's Good Luck Charlie. He has three siblings: Kennedy, Reece and Rylee. 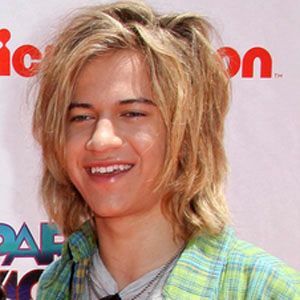 He guest-starred on an episode of Fred: The Show, which stars Lucas Cruikshank.